Classic “living” literature gets a big thumbs up from our family. When you add in the sound effects and tonal inflections that are possible through audio drama, it takes something great and catapults it into the sphere of fabulous. This was exactly our experience as we had the opportunity to review Under Drake’s Flag produced by Heirloom Audio Productions and based on the book by the same name authored by G.A. Henty. Under Drake’s Flag came to us as a 2 disc CD set with study guide. It contained over two hours of audio drama bursting with adventure. In the CD jacket was the abridged version of the study guide written specifically for this audio drama. A full unabridged version of the study guide can also be downloaded for those that want to do a more extensive analysis of the story. This audio drama is recommended for children age 6 and above, but truly captures the interest of the whole family. It retails for $29.95 plus shipping. A download version of the audio drama is also available for $20.00. The study guide is included with the purchase of the audio drama. Right after the CD set arrived, my 10 year old had a birthday party to attend that was a little over an hour away. I grabbed the set and headed out to the car. Before pulling out of the driveway, I stuck the first of the two CDs in our disc player and off we went. About 20 minutes into the drive, I asked if my son wanted to listen to something else. He was so engrossed in the adventure playing out in this audio drama that he didn’t even hear me talking to him. I paused the CD and was asked, “Why did you do that?”. I told him that I was just interested in whether he wanted to keep listening. He just smiled at me and turned it back on. Not another word was spoken all the way to the party. We had just put in the second CD when we arrived at the party. My son didn’t budge. He had been excited about coming to share in his friend’s big day, but he was just sitting there rather than rushing out of the car like a whirlwind. I once again paused the CD and told him we were there. I couldn’t believe that he wasn’t just running out of the car. After reassuring him that we could listen all the way home, he did get out and run to be a part of the fun. And yes, we did listen all the way home. During this first listening, I wanted us to just enjoy the story. I did not use the study guide at all. We did go back to listen a second (and third, and… time) and during these listenings used the questions and materials in the study guide. The abridged study guide that comes with the CD set contained three different types of questions: plot related, words to define and better understand, and questions that made great discussion questions in getting the listener to think at a deeper level. There were also some Bible Study related questions/scenarios in the back of the study guide. It was so adventurous and cool, but not scarey. It could be scarey if it was a movie. Tell moms that if they are looking for a way to keep their kids from fighting or whining in the car or getting back out of bed when they go to sleep that they need to get this. Who would want to fight in the car when it is playing, you might miss one of the cool parts. 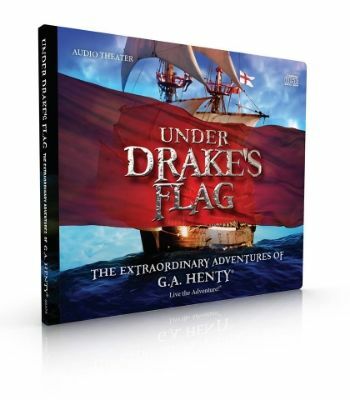 Under Drake’s Flag by Heirloom Audio Productions received 5 stars for adventure, 5 stars for being interesting, and 5 stars for “Would I recommend this to my friends” by our son. In listening with him, I would have to concur with his rating of this great audio drama. You can get a taste of this inspiring adventure by clicking here. My son was sad that there wasn’t more and then we received word that Heirloom Productions will be releasing their next audio drama in early November, In Freedom’s Cause. More information about this can be found here. I personally am thinking – Christmas Present! 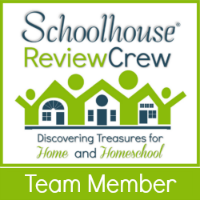 Feel free to also check out the many other reviews done of this same product by our crewmates on the Schoolhouse Review Crew.